Notes on Presentation at SIG (UK) meeting by Pete Mustoe from FocusTree Ltd. 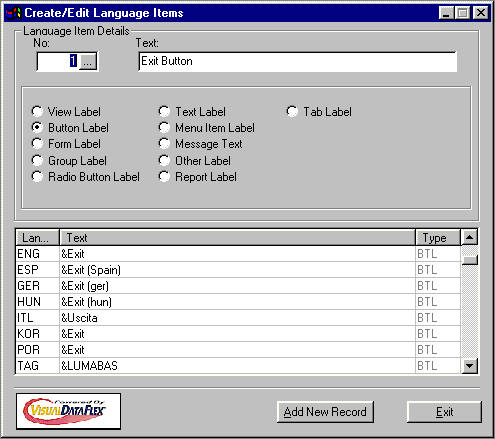 The following document (see download) explains a technique adopted by FocusTree Ltd, UK in creating a Multi-Language application. They are offered here as seen and FocusTree Ltd accept no liability on their use but offer them freely for anybody to use or improve upon. Below is a screenshot to give you an idea. The zipfile contains a word-document which goes into more details and also has some code..